The foods and beverages that we consume every day can affect the acidity and alkalinity of our body. You are at lowered risk of suffering from chronic diseases if your body is in an alkaline state (pH level of 7.0 or above). This root vegetable is one of the best additions to smoothies or stir-fries. This high-alkaline food also helps stimulate bile production to help better digest fats, lowers blood pressure, fights inflammation, provides detoxification support, and contain anti-cancer properties. Yams are high in potassium which is beneficial for the brain and nervous system. Being a good source of vitamin B6, yams have been found to lower the risk of heart diseases. Plus, this delicious vegetable is high in fiber and low in calories, thus making it a good ingredient for losing weight. Rich in potassium that helps lower blood pressure. Its antioxidants help prevent heart diseases. Help improve liver and kidney function. Sweet potatoes are an excellent food when it comes to providing your body with a boost of alkaline nutrients. The root crop is high in fiber, which helps slow down the release of sugar into the bloodstream, thereby beneficial for those with diabetes. Aside from this, it also provides your body with vitamins and minerals. This root crop is rich in nutrients and low in calories. It can help your systems function well in several ways. It can lower blood pressure, fight cancer, and lower the risk of intestinal problems. Moreover, it provides a wide array of antioxidants, such as vitamin A, vitamin C, manganese and beta-carotene. If not treated early, some of the illnesses mentioned above can lead to a more serious condition. 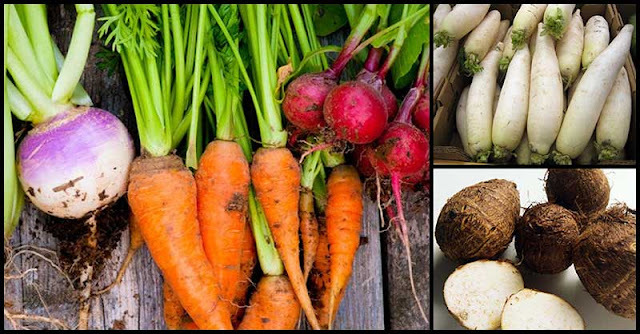 So, why not start eating root crops now? Along with a change in your lifestyle, you’ll to be able to enjoy the benefits it can give to your body.